Diabetes is something that’s familiar to me. I’ve read about it and it runs in my family. There is no cure for diabetes but it needs to be managed so complications don’t occur. 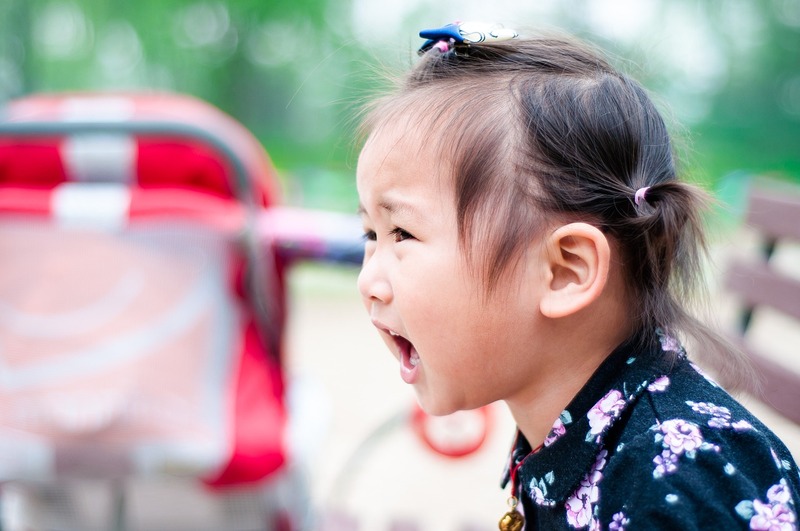 If you’re a mom of the child with diabetes, you’ve got to be tough and vigilant. Sugar levels need to be constantly monitored. ThisMommyRocks because she has those qualities and more. She’s a multi-talented artist who loves making beautiful things. 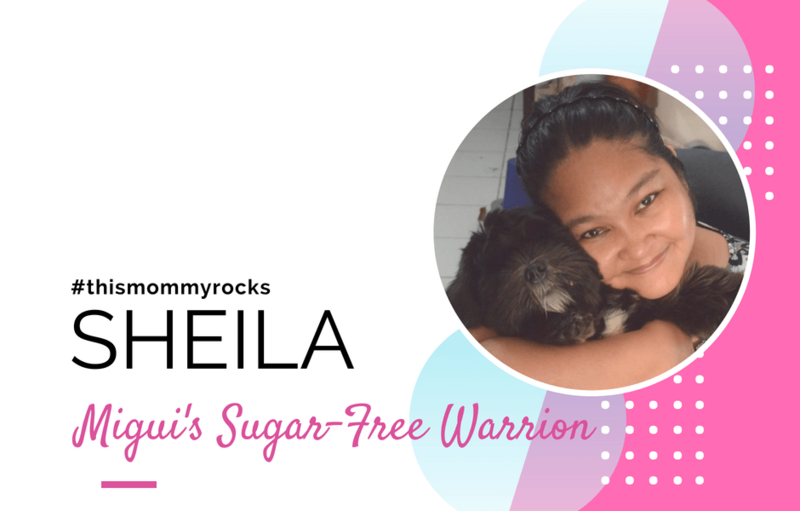 I met Sheila probably a few years back online on Sugar-Free Fiber Arts, a Facebook crochet group she started inspired by her diabetic son, Migui. 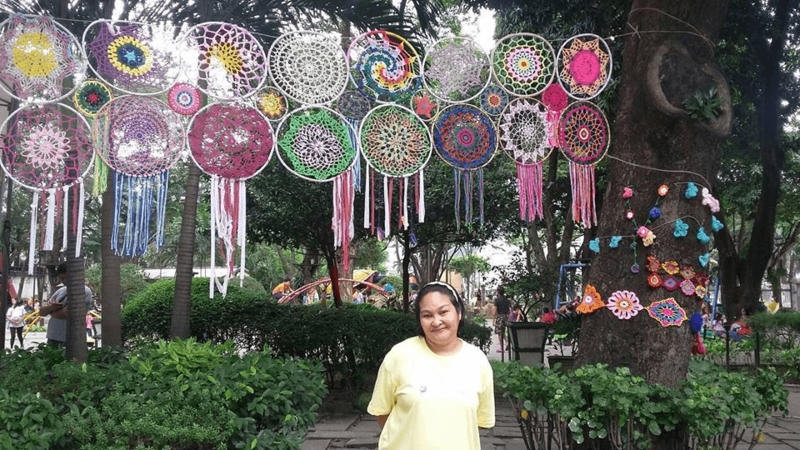 She has created an enthusiastic community who loves the vibrant cotton yarn cakes she winds and anything she creates from them. Recently, she got into making these lovely jelly cakes that I thought to myself, “Wow, they’re too pretty to eat!” So besides wanting to share her story, I also wanted to show some of her edible masterpieces. Sheila is a nurse by profession, a fiber artist and food food art enthusiast by choice. She’s a mother of three: a son named Migui who has Type 1 diabetes , a daughter who loves to craft and a Lhasa Apso named Luna. Migui, my son, is a Type 1 diabetic. He was diagnosed when he was just 10 years old. Diabetes is our constant, everyday battle for 8 years now. What are the most challenging aspects in taking care of him? And how do cope with them? I would say more than the financial hiccups, we struggled with the emotional and psychological aspects of his growing up years. Diabetes hit us when Migui was at that critical stage of moving up from being a child to a teen to being a young adult. 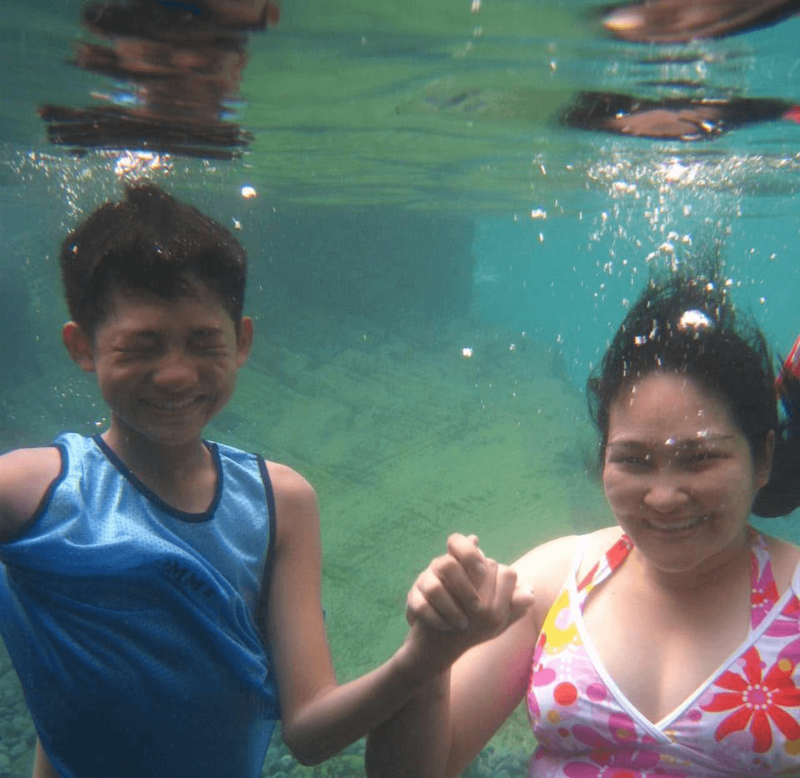 How do you inject normalcy in your kid’s everyday life? Let alone a diabetic kid trying to fit in and trying to find his spot in the society. How do you address teen depression? Those were the questions my husband and I struggled with. What has been the most rewarding part? How do you connect with him? Do you have a particular activity you enjoy doing together? The most rewarding part is when I see my son taking his interests to heart. He learned to play the guitar by himself, learned video and photo editing software, makes art. He built his computer system from scratch and from his own savings. It is his pride and joy. He is an avid gamer. He loves going to Comicon and art exhibits. I love it when his friends come over to visit and I could hear his unrestrained laughter from his room. I am at my happiest when he says ‘Thank you mommy’ or whenever he approaches me for something. Like all moms, I love it knowing he still needs me and still not quite grown up after all. We are both into graphic arts and I love it when he shows me his projects and asks me tips on how to improve some more. But I think, he already outgrew my mentorship. Pretty Raindrops Jelly Cakes started when I was surfing the net for a diabetic-friendly dessert. Gelatin came up and I found myself staring at these wondrous gelatin art cakes called raindrop cakes. 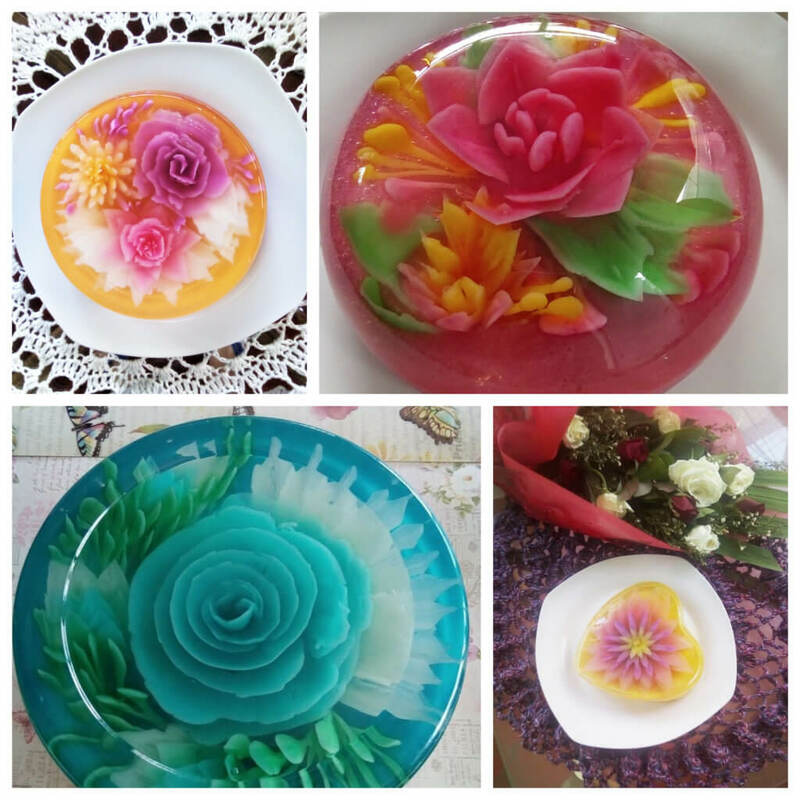 Pretty flowers encased in clear gelatin. It was a whole 4 months before I had the courage to try and make one Raindrop Cake. Then he leaves for school. Do you ever feel overwhelmed? And what do you about it? 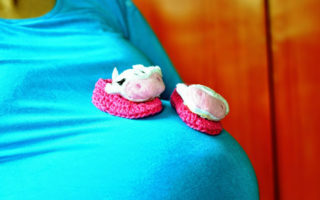 I might have gotten used to feeling overwhelmed that I already have forgotten how to feel calm.Crocheting helps a lot! Keeps me sane. And yes, Korean drama is a constant companion. How do you take care of yourself and your spirit? Do you have a motto or quotes that give you encouragement or people you look up to who are in the same or similar situation? Honestly, taking care of myself should be my top priority so that I will continue to be healthy to support my children for a longer time. However I feel guilty whenever I splurge on myself, I always calculate money in vials of insulin. Like, OMG that blouse is about 2 insulin vials already! So I end up not buying something for myself. A motto? I have no motto. What I do know is I will do everything for my kids to survive childhood so that they could be the best they can be and lead happy lives in the future. I think that’s what all parents want. What is your hope for him in the future? I want him to be able to afford an insulin pump to help him balance his sugar levels more. I want him to be healthy and be married and have kids and be happy. I want him to once in a while remember he had a mom who loves him. I want him to overcome hardship like a boss. Do you experience support from your family and community in raising your child? What message do you have for them? Migui received support from my husband’s side of the family but very recently they decided to stop. I am hoping that more than the money, they do not stop their moral support. But I want to thank them for their generosity the previous years. They were a big help. In your experience, what is the one biggest misunderstanding people or parents have when it comes to children who have diabetes? People would say I was a bad mom for letting Migui eat all those candies and sugary foods. Type 1 diabetes is not caused by eating sugary foods. Their pancreas is programmed to fail from birth. There is nothing we can do about it. Even if the child has been trained to eat Vegan, he will still have diabetes if his genes say so. Also, those who are trying to sell us herbal supplements cause us great pain. They often say their products are powerful at a cellular level or molecular level and that pretty soon my child will no longer need insulin. Sadly, some parents would give in, and buy the product only to find out the product will not be able to do anything because herbal supplements will not be able to revive a non-functioning pancreas. If there is one thing you hope other parents can take away from your story in raising your child, what would it be? Times will get rough. Really rough. What will help you make it through the storm is your love for your children. Believe that your love will find a way. And it will. Have faith. God is love. 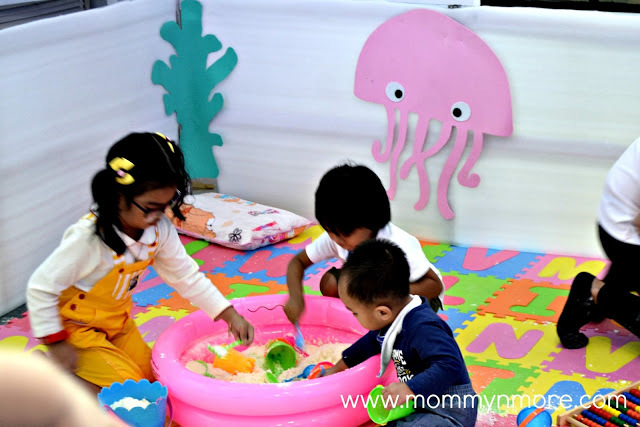 Previous ArticleFhmoms Celebrate Mother’s Day with Pampers! Next ArticleOrganic and Preservative-Free Oral Care with Buds® Baby Organics Children’s Toothpaste!